While it may be more normal to abandon a car or forget you had it tucked away in your barn after a few years, it’s not so normal to just abandon a plane, and we’re not talking about a small plane that would fit easily in a barn. We’re talking about huge Boeing 747’s and military fighter planes. Planes that you would think people would notice are missing. 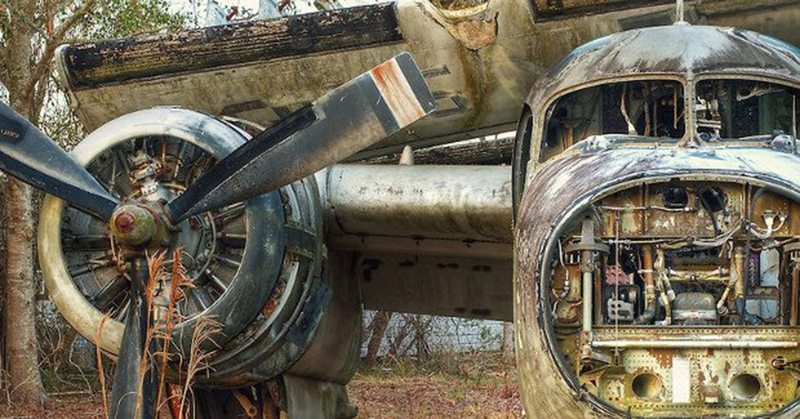 There’s just something fascinating about the mysteries behind how these derelict aircraft ended up where they did. So let’s check out the top 12 weirdest places people found abandoned aircraft, and what ultimately became of them (like the plane-turned-luxury resort on slide #1). We weren’t kidding when we said that some of these abandoned planes have been converted into other things. In this case, it’s a restaurant! They took an old Boeing 747 and converted it into a must-see destination! 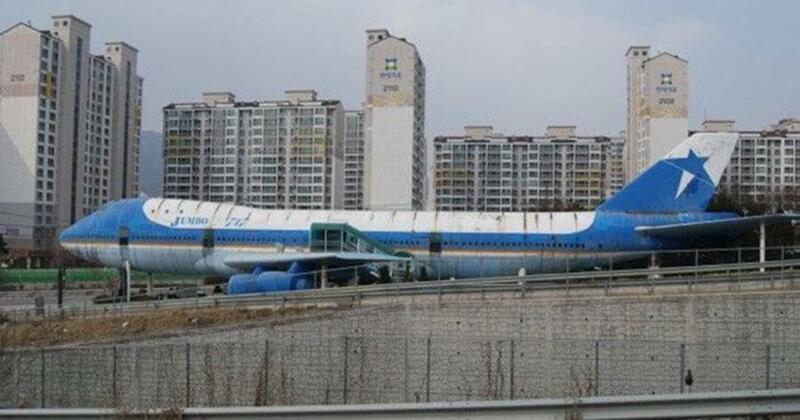 If you ever visit Seoul, South Korea would you stop and check out this plane? 11. How, why and where? Well, this one is definitely going to cause some confusion! We have so many questions we want to ask! For instance, how? 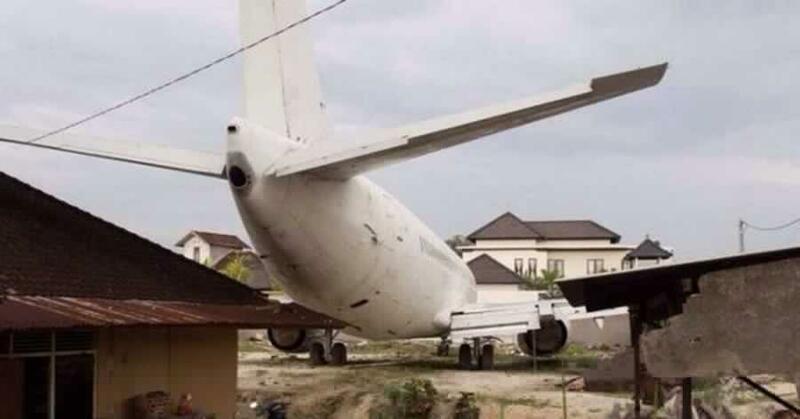 How did that plane manage to get between those houses? Did it cause any damage? And, why on earth would you want to land a plane there, let alone just abandon it there? We are open to answers! Let us know what you think happened. There are currently eight Grumman Trackers from the 1960’s and 1970’s just sitting around and slowly decaying at an airport. The airport is still in use today and was formerly known as St. Augustine. Maybe they have forgotten about the naval bombers, but these airplanes aren’t exactly small. You would think that someone would notice them just sitting there. Why do you think they still have them? 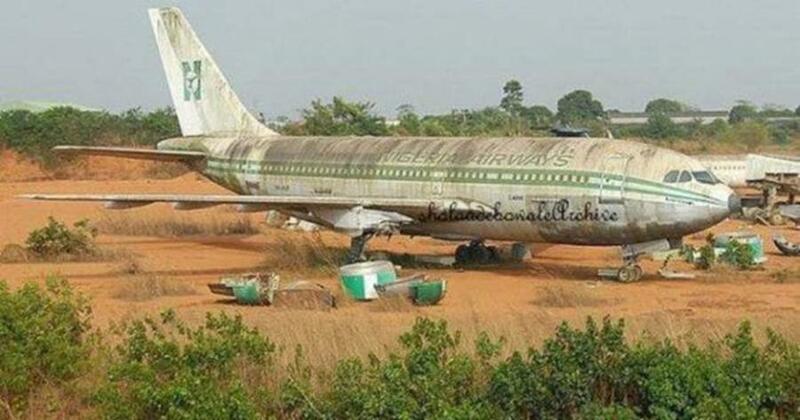 This plane has been abandoned at the airport in Lagos, Nigeria. Judging by the state it’s in, no one seems to be in any rush to remove it. The Nigeria Airlines company who previously owned the plane ceased their operations in 2003. With no owners around to claim it, do you think it will ever be removed?